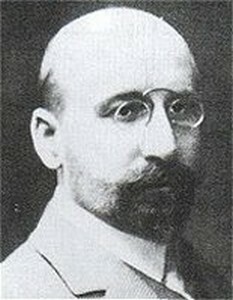 Friedrich Patze was a foundation member of the OLA at Seerappen together with Sachsenberg in 1920. In 1921 he became manager of OLA. In 1925 Patze joint JLAG in Berlin and became sales manager of JFA Main Office in 1926. During the setup of Junkers Luftverkehr Persia, Patze was engaged in Persia during 1927. 1919 - ???? Junkers + Co.
Erich Pfeiffer joint Junkers + Co in 1919. He became managing director of ICO. Karl Plauth was member of the Fliegertruppe during WWI with JaSta 51. In 1919 he started his studies at the TH Darmstadt in the field of engineering. At the Academic Flight Group of the TH Darmstadt, Plauth designed three glider planes during 1920 and 1921. In March 1923 he joint Junkers Flugzeugbau. Since 1925 he was engaged at the Main Office of Prof. Junkers. Plauth supported Zindel in the design of the Junkers Ju22 for Russia. A very innovative design of Plauth himself was the Junkers A48. It was the first post war Junkers aircraft with smooth metal surface. With that design Plauth generated the principle knowledge about dive bombers, which were later used on the Ju87 design. On November, 1st 1927 Karl Plauth, who was also a sport pilot, crashed with an A32 during artistic flights and died. n early 1914 Pohlmann visited the flight school of Hans Grade and during WWI he joined the German Air Force. Hermann Pohlmann was a bomber pilot during WWI. After WWI Pohlmann studied ship design techniques and later joined the Junkers Flugzeugwerke in 1923, where he started his work on the engine cowlings of the Junkers G23. While most of the designs at Junkers Flugzeugwerke during the twenties were developed by Ernst Zindel and Otto Mader, Pohlmann was responsible for the design of the famous W33/W34 aircraft, which had been developed from the F13. He was also supporting the designs of Ju46 (designed with Ernst Zindel), the A48/K47 (together with Karl Plauth), the Junkers A50 (together with Arntzen) and finally the Junkers Ju60. Pohlmann also developed initial designs for the Junkers G38 before Zindel himself took over the development authority. Pohlmann was responsible for development of Ju60 airliner. Already in 1928 Pohlmann was engaged in the development of a dive bomber Junkers K47, which laid the foundation for the later development of the Junkers Ju87 also designed by Pohlmann. In 1940 Pohlmann left Junkers and went to Blohm + Voss, where he was engaged in the BV222 and BV238 design. After WWII Pohlmann left Germany and went to Spain, where he joint CASA in 1950. In 1959 again Pohlmann went to Hamburg and joint Hamburger Flugzeugbau GmbH, the former Blohm + Voss facility, as its technical director. 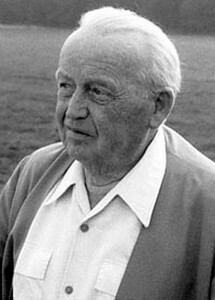 Pohlmann retired in 1968. Konrad Prautzsch was the head of the Junkers maintenance base at Nuremberg Fuerth in 1924. As the Junkers G24 was to large for the small Dessau air field, the first flight of a G24 had been organised at the Nuremberg airfield by Prautzsch. 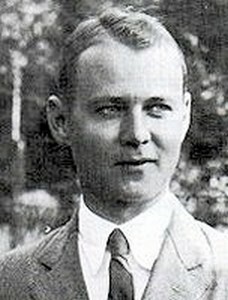 Reinhard Preuschen joint Junkers and became responsible for the Junkers Ju288 developement. Stefan von Prondzinsky joint the Fliegertruppe during WWI and became the first aircraft pilot to appear at the U.K. skies in 1918. In 1920 he made his private studies regarding aircraft designs and took a patent on wing designs. In 1922 Prondzinsky joint the Junkers Research Institute. As a trial engineer he was engaged in wind channel design questions. In 1924 Prondzinsky went to Fili as a test pilot for Fili built aircraft. In 1926 he returned to Germany and left Junkers for the DVL, where he later crashed with a Heinkel aircraft at Warnemuende. August Wilhelm Quick studied at the TH Danzig. In 1933 he joint the Junkers design office and became head of the Junkers design office until. he left the office in 1939, when Heinrich Hertel joined Junkers and took over the management of this office. Quick moved to DVL. After WW II, Quick went to France and was engaged there in the French jet engine developements. Later Quick joined the technical university of Aachen as a professor. In 1958 he became member of the supervisory board of the "Internationale Fluggeraete- und Motoren GmbH", which was founded in association with the former IFM AG. Civil Ingenieur Quast was a born American. He joint the Versuchsanstalt Prof. Junkers at Aachen and moved to Magdeburg for the setup of Junkers Motorenbau GmbH there. Later he headed this company. When WW I broke out, Quast returned to USA. Hans Karl Ramdohr joint Junkers in 1933. 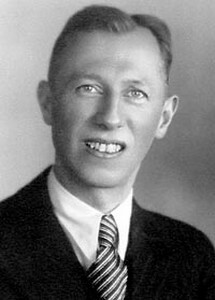 In 1939 he became the manager of the Prague Junkers office. After WWII he was appointed as the controller of the former Junkers Flugzeug und Motorenwerke AG by the German Government. In 1954 Ramdohr initiated the foundation of a JFM design office at Essen. At the same time he was one of the founding members of the later "Hugo Junkers Gesellschaft", the society of former Junkers employees. In 1958 Ramdohr also founded the JFM AG at Bieberach, which later became the Fluggerate und Motoren GmbH, together with Kindermann and Maringer. Since 1961 Ramdohr was the chief manager of IFM. Hans Reissner studied construction engineering at Berlin University until 1897. In 1906 Reissner became a professor for mechanical engineering at the TH Aachen. Since 1908 Reissner communicated with Junkers about possible aircraft developements. Reissner developed his first own aircraft, a double wing aircraft, which used steel and textiles. Junkers proposed an aircraft design of corrugated steel metal. Both developed a monoplane aircraft with a cunard layout. The wing of this aircraft already showed the typical Junkers courrugated structure and was made from iron. The aircraft is known as the Reissner cunard plane, but most parts of the aircraft were produced at Dessau at the Junkers & Co factory. In February 1912 this aircraft was first flown by Robert Gsell at Berlin-Johannisthal. The joint venture between Reissner and Junkers led Junkers into the direction of aerodynamic studies and laid finally the first steps for Junkers to enter the field of aviation. Reissner continued his scientific work on aircraft designs during WWI and the following 20s. In 1930 he became the chairman of the German Aviation Comitee. 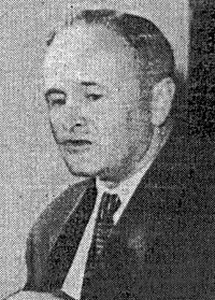 In 1936 Reissner was retired due to political reasons. He continued to work for Argus Motorenwerke as a consultant and in 1938 he left Germany and became a professor at the Illinois Institute of Technology. From 1944 to 1954 he finally worked at the Polytechnic Institute of Brooklyn. Otto Reuter joint Junkers & Co. in November 1915 as a technical design engineer. He was engaged in the design of the Junkers J3 and the Junkers J7 aircraft. At the end of WW I, Reuter became the first technical managing director and chief engineer of Junkers Flugzeugwerke AG. Otto Reuter participated in the first steps of the Junkers aircraft designs during WW I and was responsible for the developement of the Junkers F13, Junkers J15 and the Junkers K16, as well as the large scale passenger aircraft Junkers JG1 before he died in 1922. Fritz Riedel studied Engineering at the Technical Highschool at Aachen. He Joint the Junkers Flugzeugwerke in 1933 and started his work as a a construction engineer at the Prototype construction. He worked under Haseloff and became head of the Wing-Fuselage-Construction Group. He worked on the Ju287. In 1946 he was sent to OKB-I in Podberesje. After his return in 1954 he Joint the VEB Flugzeugbau Dresden and designed the Center fuselage with wing adapation for the Baade 152. He left VEB in 1961. 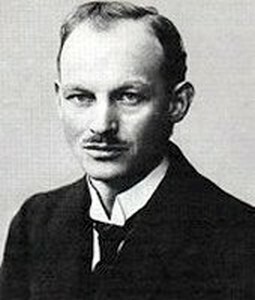 Alois Riedl studied Technical Engeering at Dresden University until 1926. He joint Henschel and designed a Diesel Locomotive. In 1928 he joint Junkers Motorenwerke. Since 1933 he was member of the Technical Secretary of Prof. Junkers and dealt with research questions regarding metal constructions. Max Ringwald joined Junkers Flugzeugwerke in 1929 and became member of the board of directors. Before joining Junkers, Ringwald was busy at MAN. Hans Ritter was trainer at the Turkish Military Academy since 1925. When he returned from Turkey in 1928 he joint Junkers Main Office and developed a propaganda strategy for military Junkers aircraft. In 1930 he became scientific assistent of Junkers at the Junkers Office in Berlin. Hermann Roeder studied at the TH Dresden. In 1912 he performed his first stand-alone flight. In 1914 he became the chief pilot of the Bayerische Motoren- und Flugzeugwerke at Nuremberg. During WWI Roeder was a bomber pilot. In 1922 he joint the Junkers Hauptburo. Shortly later he became a sales pilot of the Junkers sales departement. Since 1923 Roeder was Hugo Junkers personal pilot, who flew the Junkers directory F13 D-282. In 1927 he achieved some world records with the F13. In 1933 Roeder continued as a pilot of the Junkers director aircraft for Koppenberg. In 1937 he became manager of the Junkers Facility Pilot School. He was killed by an accident with a A50 at Dessau. Hellmuth Roehnert was member of the IFM supervisory board since July, 9th 1936. When Heinrich Koppenberg left the supervisory board on December, 16th 1937, Roehnert also took over the position of the chairman of the supervisory board. Dr. Leo Rothe was the successor of Heinrich Koppenberg. In January 1941 Rothe took over the position of the chairman of the boards of directors of IFM. He kept this position until the end of the war. Before entering the IFM, Rothe was responsible for the built-up of Henschel Flugzeugwerke at Berlin. After WWII Rothe became president of the "Bund der deutschen Luftfahrt-Industrie" (BDLI) and in 1957 he became chairman of the board of directors of Messerschmitt AG. Walter Rothe was flight instructor at Rumpler Flugzeugbau in Johannisthal prior to WWI. During WWI he was a fighter pilot in Turkey. From 1919 to 1922 he studied technical engineering and in 1923 he joint the Turkish Air Force again as a flight instructor. In 1925 he established the training school at Eskhesir, where later the Junkers maintenance base of Tomtas was also established. In 1926 Rothe joint Junkers Tomtas in Kaussarie and organised the A20 conversions in the Tomtas facility. Since 1928 Rothe joint Junkers Luftverkehr Persia and became personal pilot of Aman Ullah's G24. When he returned to Germany in 1930, he became an JFA pilot and performed several delivery flights to Australia and Greece. In 1932 he left Junkers due to health reasons. From 1939 to 1942 Rothe became a DLH pilot. Edmund Rumpler was engaged in aeronautical design questions since 1909. He bought several licenses from Fritzsche and Etrich and built several aircraft for commercial customers. In late 1913 Rumpler asked Junkers for a license for his gliding patent, which Rumpler liked to built. Due to WWI these activities were stopped. In 1921 Rumpler started an own airline operation, called Rumpler Luftverkehr. This airline was later absorbed by Junkers Luftverkehr. In 1923 Rumpler became a member of the supervisory board of Junkers Luftverkehr.